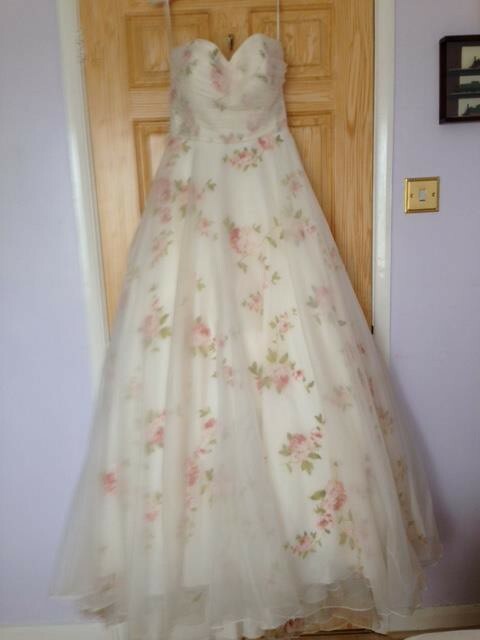 Stunning, elegant ivory and rose floral wedding gown by LouLou Bridal. Dress silk, lining polyester. As this gown is made of silk it is very light weight and easy to wear. All tags still attached and with original receipt.